The Science Department is well resourced with a brand new science block of 9 labs, 2 prep-rooms and a lecture theatre. Science is a subject that stimulates and excites people’s curiosity about phenomena and events in the world around them. It also satisfies this curiosity with knowledge. Science links direct practical experience with ideas. Scientific method is about developing and evaluating explanations through experimental evidence and modelling. This encourages critical and creative thought. Become equipped for adult life by developing scientific skills such as curiosity, objectivity and perseverance, and by exposure to scientific processes such as observing, criticising and evaluating information. Good use is made at all Key Stages of the departments dedicated ICT lab and greater use of data logging to enhance the practical nature of Science is being developed with our new status of Maths and Computing College. 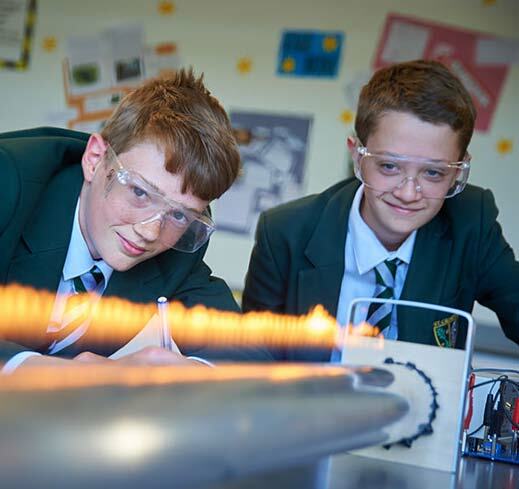 Click here to view the Science Block Case Study.